Brilliant, charismatic Leo-Dragon inspires awe and respect. It is a born winner, unfamiliar with failure and defeat. They are always smart, energetic and endlessly confident, they easily solve any problems. The Union of the Leo and the Dragon is one of the most successful combinations, giving the person an unusual attractiveness and liveliness of mind. The patronage of these two powerful creatures is a reliable defense against all troubles. The life of the Dragon-Leo is pretty successful: he does not have to endure hardship, he easily gets everything he wants. People like the company of Dragon-Leo, moreover, they are trying their best to attract his attention. This is a person-holiday, generously giving joy to others. In this man there is so much spiritual generosity and charm that there is no reason to doubt his nobility. The Dragon-Leo stands out for its independent character. This bright, charismatic personality leaves no one indifferent. Striving for leadership, desperate courage, recklessness are the distinctive qualities of the Dragon-Leo. Wherever he was, he was accompanied only by admiring glances. After all, this active person, with all his frenzied employment, finds time and energy to help others. In addition, perfectly educated, has a great sense of humor. Is there at least one chance to resist his incredible charm? It is the Dragon-Leo — the most popular person in his environment. The majestic Dragon-Leo never sinks to squabbles and intrigues, for low-lying passions are the lot of unworthy people. He behaves restrained, as befits a strong, noble man. However, he is capable of strong emotions if he encounters treachery and deceit. His rage will be so strong and incinerating that the offender will not get better. Nature has endowed him with eloquence and the ability to anticipate people’s thoughts. 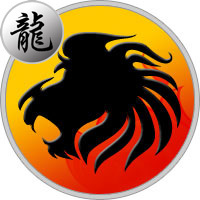 Leo-Dragon can manipulate the actions of others, but does not use his gift to harm. It only seeks to achieve universal prosperity. He does not know what envy and anger are, there are no dark thoughts in his soul. This is a positive and benevolent person, radiant optimism. The purposeful Leo-Dragon achieves the conceived, regardless of any sacrifices. It is not inclined to superfluous reflections, operates quickly, therefore in all affairs to it success accompanies. However, does not consider it necessary to put up with the wishes of other people, sometimes in pursuit of his dream loses friends. Usually such a noble and generous Dragon-Leo forgets about the sense of proportion if he goes to his goal. For him, social status is very important, so he will do everything to take place in life. It will work hard, depriving yourself of all joys, but will certainly reach the heights of success. But with what pleasure he enjoys the fruits of his triumph: in art, it is beautiful to live without equal. The Dragon-Leo is always beautifully dressed, his house is a sample of luxury and comfort. This brilliant personality invariably attracts attention. The Dragon-Leo is always elegant, beautiful and tastefully dressed. In addition, he has an enviable eloquence and a good sense of humor. Around him are many fans or fans, whom he happily reciprocates. All Dragons-Lions, irrespective of gender, are amorous and windy. They love to make new acquaintances, with their heads plunged into a whirlpool of passions. They are looking for bright emotions, unforgettable sensations, and they are sure to find them. The family horoscope gives a clear definition of Leo-Dragon — a reliable, loyal, attentive partner. Having married, this windy person, prone to casual connections, becomes a wonderful family man. Dragon-Leo adores his mate, and children evoke in him a quivering feeling. For the sake of his family, he is ready for any sacrifice. Although they will not be needed, because he is an indisputable authority for their loved ones. With his opinion in the family are considered, but in the material terms this person does not have problems. Dragon-Leo is lucky in business, so whatever path he chooses, success is guaranteed. Among its advantages are high intellect and developed creative abilities. Leo-Dragon is distinguished by a rare diligence, purposefulness, conscientiousness. Despite his external brilliance, his propensity for an idle way of life, this man is a real hard worker and a high-class professional. Ready to work to exhaustion, and not less demanding of colleagues. Leo-Dragon is a leader capable of rallying around any team. He has the gift of eloquence, knows how to distribute responsibilities competently. In addition, it is fair and moderately demanding. Therefore, his subordinates are respected, and his superiors appreciate for non-conflict and diligence. Dragon-Leo is hardy, able to perform several tasks at once. He is not afraid to take responsibility, he does not pass before difficulties. In case of a loss, it quickly recovers and boldly moves on. A noble Dragon-Leo man is born to command. This is a royal person, worthy of worship and adoration. So selfish and too self-confident that he often neglects the interests of those around him. But it never acts to their detriment, shows a good-natured, peace-loving character. The intellectually gifted person differs resourcefulness and ingenuity, usually takes a good post, and is deserved. He does not resort to flattery, intrigue, he achieves everything with his talent and diligence. The Dragon-Leo washes to fascinate and fall in love with any person, women simply adore him. A handsome, gallant gentleman in family life manifests himself as a defender and an earner. A coquette and enchantress, born under the combination of Leo and Dragon signs, drives all the familiar and completely unfamiliar men mad. She spins numerous novels, though she has a noble goal: to find her one and only. Usually gives preference to strong men, with whom she can not get along because of her proud temper. Her love and relaxed behavior often cause problems in dealing with women who are enviously envious of her. In addition to the spectacular appearance of the Leo-Dragon woman is very intelligent and purposeful. She is accompanied by success not only in personal relationships, but also at work. This is a fine professional, with colleagues communicating smoothly and friendly. But she does not take criticism and remarks.